The Red Solstice is an action strategy game. Forge your personal story of defending the planet through a series of combat missions and strategic choices while researching new technologies.Gear up, assemble your squad and get ready to defend the doomed planet. The Red Solstice 2: Survivors - update! we have some bad news and some good news. Let's start with the bad. Solstice Chronicles: Survivors is no more. We killed it, cut it to pieces and fed it to a pit of angry zombies we keep just for such occasions. But there are good news also, bear with us for a bit longer. When we started working on the Solstice Chronicles: Survivors it was because the community asked for a multiplayer mode in the Solstice Chronicles: MIA and we were unable to provide that with the original game. It was supposed to be a standalone multiplayer game built upon the expanded MIA framework featuring more open gameplay similar to the survival mode. Guided by our previous experience with the Unreal Engine and some great new talent we were lucky enough to acquire, we started peeling back layers of old code, improving old assets, playing with new gameplay elements, and the more we worked, the more we liked what we saw and more ambitious we got. But the more we worked, more often we got “wow, this is so The Red Solstice” moments. The turning point happened when we started experimenting with the controlls as we felt the pure twin stick scheme just did not feel right in a big open map. It felt somehow static and tiring and someone half jokingly suggested we try the The Red Solstice like RTS type controls. We actually tried it, and after a few days of intense discussions and multiple further rounds of testing we decided it was actually much better. It was then we finally said, “This is The Red Solstice 2!”. So it is our great pleasure to officially announce that we are now working on a full fledged sequel called The Red Solstice 2: Survivors. It is a tactics oriented shooter game made for multiplayer squad tactics but fully playable in solo mode. Basically all that The Red Solstice offered, but improved by years of experience our team has gained, combined with the perks of a modern Unreal 4 engine. The game will feature well known but improved mechanics such as skills, energy management, combat suit management, weapons with different modes of fire, explosives, tactical squad control, randomly generated missions…. But will also include some new elements such as the biomass, a terrain based manifestation of the virus infection that slowly spreads throughout the map impeading the players progress in a number of ways, making the enemies stronger and more aggressive and if not contained making the successful completion of the primary mission all but impossible. There will also be a strategic metalayer where players will be able to upgrade their equipment, choose their missions and advance their personal campaign, defending the colonies of Mars. It is also planned for other players to be able to join others games in progress (yep, you’ll be able to drop into your friends game as reinforcement and save his backside). Although the core systems are already in, there is much still to be done, so due to the upredictable nature of our work, we are still unable to talk about the release date with any kind of certainty, so it has to remain in the “when it’s done” realm for now. We will keep you informed with more and more information as we get closer to completion and are looking forward to working with you to make The Red Solstice 2 into the best game possible. For now, enjoy these images, spread the word and as always...Stay frosty! Play both through strategy layer and combat missions in order to decide the fate of the planet. Upgrade and research new technologies and experience your story with friends. The game can be played solo following a singleplayer story campaign mode or using game matching servers in an 8 player co-op survival mode in a planetary campaign. Year 117 After Earth, at the destruction of Tharsis, corporations rush to secure the dominant position over the remaining colonies and the last remains of the human race. - It's up to you take command, fight the corporation needs and the virus that threatens to end everyone. 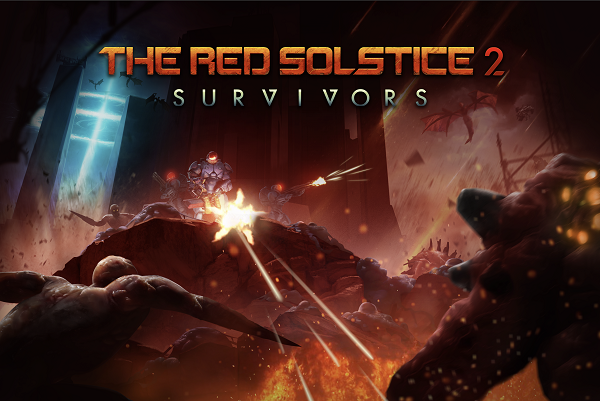 Survival strategy: The Red Solstice 2: Survivors couples tactical missions with the ongoing survival against the STROL virus over the entire planet in a campaign that spans over time with a single goal - Survival of humanity. 8 Cooperative multiplayer: Join other player campaigns and combat missions or let them join yours, bring your own research and resources into their campaigns, play together and work towards the survival of the planet. Strategic base: Customize and grow your character in the campaign, research and upgrade new technologies and combat suits , prepare assets for deployment on combat missions - artillery, tactical nukes, reinforcements, dropships and much more.. Combat missions: Deploy alone or with other players into combat missions in order to contain the spreading biomass infection. 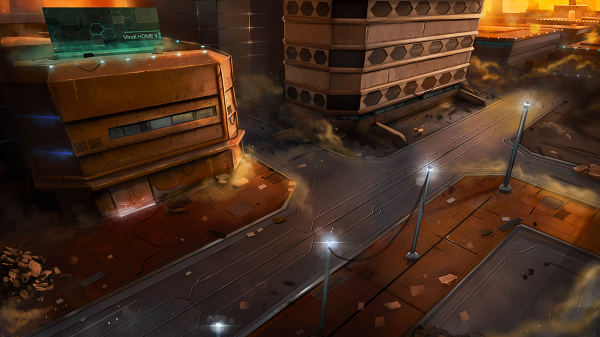 Manage your resources, explore an open map and secure areas in order to save humanity. Combat the biomass infestation: Fight a spreading biomass that changes the environment and has a mind of its own. Unique classes: Choose between 8 classes, each with a specific gameplay style and skills. Hot Join: Call for reinforcements from your friends list mid-game and have them drop down right into the middle of the chaos. Blood from killing creatures and player deaths.